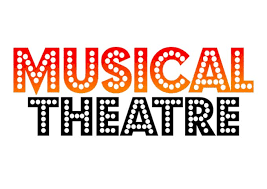 Hamilton students offer musical theater workshop April 13 - Hamilton School District. Members of Hamilton High School Drama Society’s spring musical “Mary Poppins” are offering a musical theater workshop for children ages 6-13 years. The workshop will be from 9 a.m. – noon April 13 in the Hamilton High School Little Theater. All participants will learn a song and dance from the musical “Mary Poppins,” and participants will perform their routines for family and friends at 11:40 a.m. in the Little Theatre. Participants will be placed into age groups. In addition to dance lessons and vocal practice at the workshop, all participants will receive one voucher for a free child’s ticket to see “Mary Poppins” May 3-5 in the Hamilton Fine Arts Center. The workshop is limited to 50 participants. Completed registration form and payment are due by April 1. Cost is $30 and a check should be made payable to HHS Drama Club to Hamilton High School, Attn. Drama Club, W220N6151 Town Line Rd., Sussex, WI 53089. All participants should wear clothes they can move in and shoes safe for dancing.